Every morning our in house pastry chef prepares a range of sweet and savoury treats. Scones, cakes, cookies, biscuits, tarts, breads and so much more. 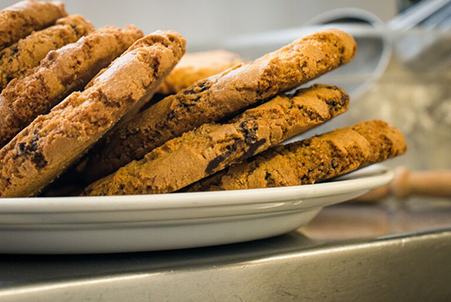 Whatever time of the day you feel like a treat, pop in and let us satisfy the craving! 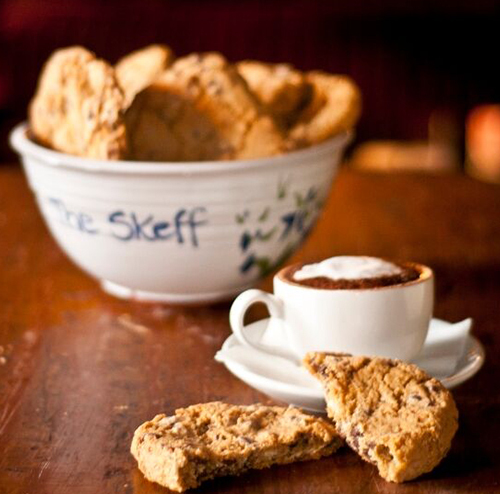 At the Skeff Late Bar Kitchen our coffee is freshly brewed to appeal to Coffee Lovers everywhere. We are proud to use coffee beans from Lavazza, the care and attention they put into their product means we can provide our customers with smooth and rich coffee, the best in Galway city. The Keep Cup is now available from The Skeff at 8 euro. Saving you money and the environment . It is part of the Galway initiative to have a #plasticfreegalway. The plan is to have less plastic & paper Cups being used every day throughout Galway County . Every returning customer purchasing coffee off us each morning gets a discount of 30 cent off their ‘cup of joe’ . Saving them money & the environment at the same time. SECURE A TABLE! SIMPLY FILL IN THE FORM BELOW.